What happen if your private data stored in your pendrive is lost and falls into a stranger's hands? That will be certainly a disaster. Fortunately, such incident is preventable by securing your USB pendrive data with encryption and password. 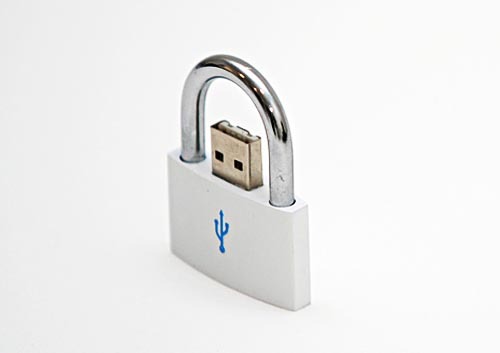 With encryption protection and password, nobody will able to get the valuable files from your lost/stolen pendrive without knowing your password. Encrypted pendrive will give you peace of mind to traveling along with you. Plug in your USB pendrive. If there is data inside your pendrive, please copy the data and temporarily store in a folder on computer hard disk. Click Tools and then Volume Creation Wizard. 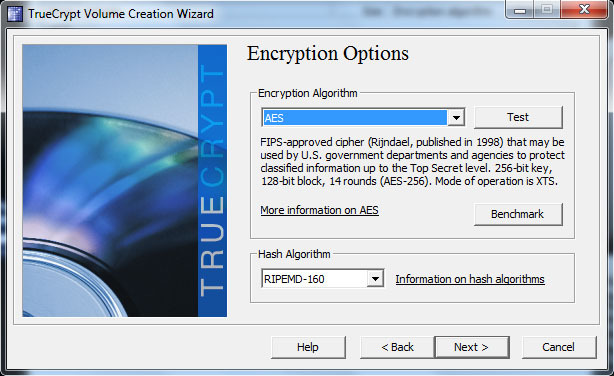 Select Create an encrypted file container and click Next. Select Standard TrueCrypt volume and click Next. Type .tc file name on the location of your pendrive as the picture below, and click Next. Set the Encryption Options. AES and RIPEMD-160 will do nicely. Click Next. Set Volume Size. 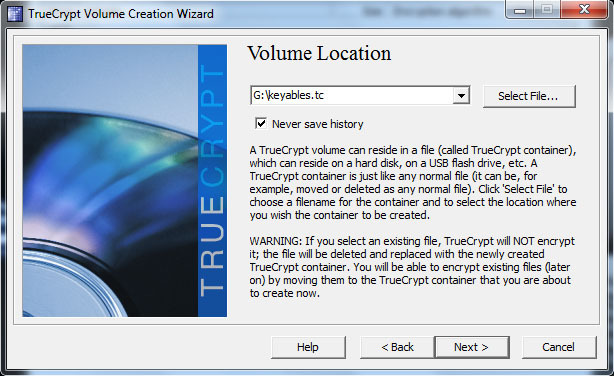 Please leave at least 10MB free space for TrueCrypt binary files setup later on. Click Next. Set a good Volume Password. The longer, the better. Click Next. 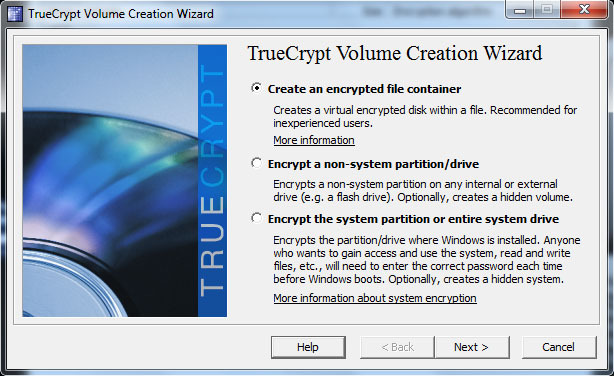 Move your mouse cursor as randomly as possible within TrueCrypt window. The longer you move, the better. This will increase the cryptographic strength of encryption keys. 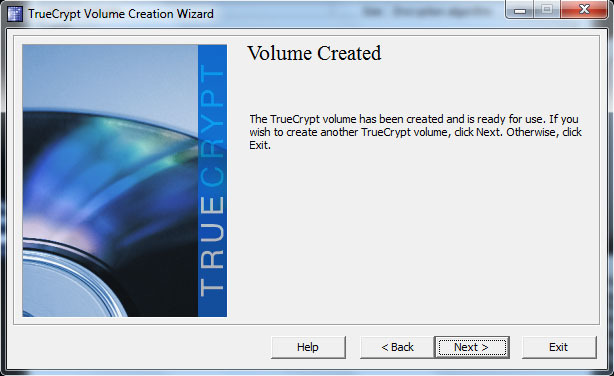 Then click Format and wait patiently as this will takes a few minutes to create TrueCrypt volume. 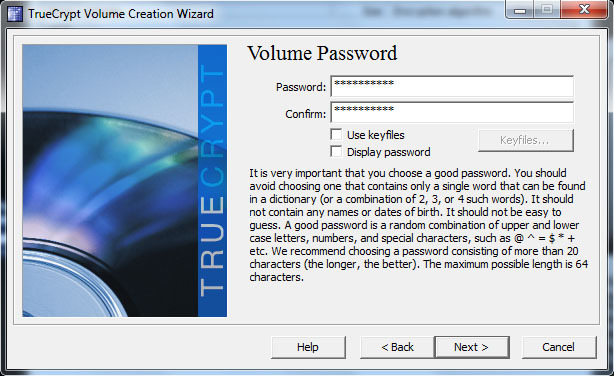 Click OK button after TrueCrypt volume is successfully created. Done. Your pendrive is now encrypted with password. 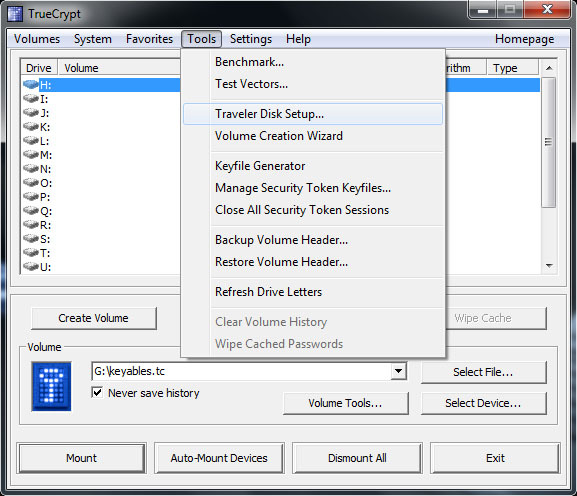 On TrueCrypt, select a drive letter to mount encrypted pendrive. I choose Z:\ drive. Click Select File button, and choose your pendrive .tc file. Enter your encrypted pendrive's password and click OK.
Open My Computer. You will see your encrypted pendrive mounted in the drive letter you choose to mount. Mine is in Z:\ drive. 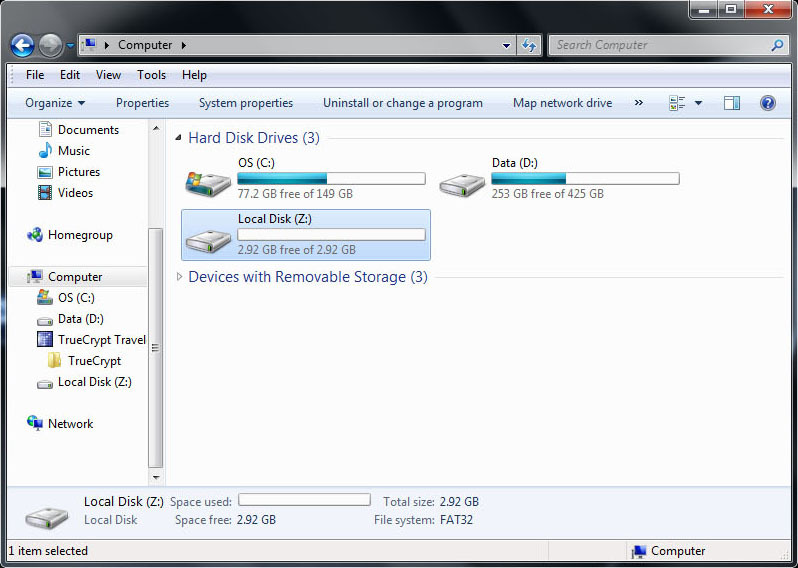 Transfer all the files you want to keep protected in this drive (Example: Z:\ drive). To safely remove your pendrive, go to TrueCrypt and click Dismount button. Eject your USB pendrive as usual. Click Tools, and then Traveler Disk Setup. Under File Settings, click Browse and select your pendrive drive letter. 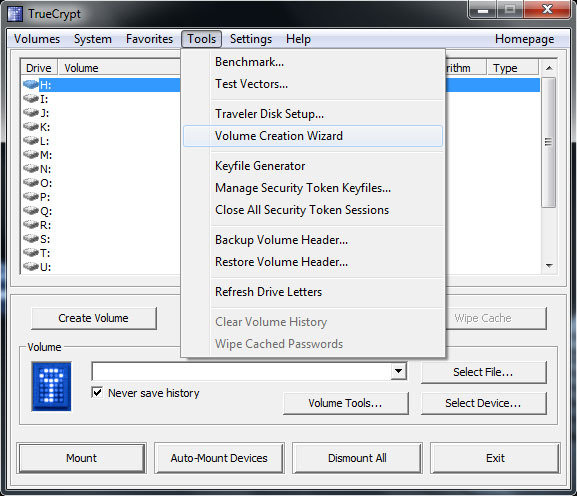 Under AutoRun Configurations (autorun.inf), choose Auto-mount TrueCrypt volume and select your .tc file to mount. Click Create.